After every brew day, I’m left with a pound or two of mashed grains. Some brewers throw them out with the trash. More environmentally conscious brewers put them in their compost heap. But what happens if you don’t want to throw them in the trash and you don’t have a yard for the compost heap? What happens say if you have a say you have a dog, one that’s so cute that you can’t stop yourself from giving it treats all the time. 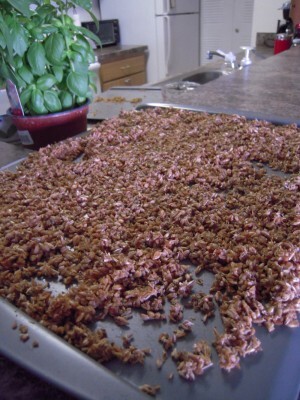 You could keep shelling out money for those treats at the store, or you could make your own with your leftover grains. 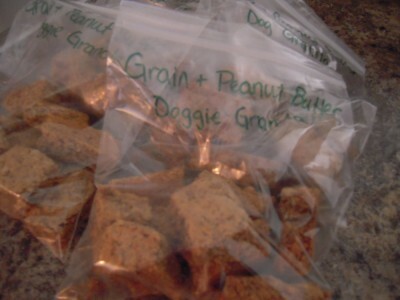 My girlfriend spotted a recipe for DIY Beer Grain Dog Treats, the perfect way to re-use those spent grains and make your dog happy. Their recipe calls for using fat, she made hers fat free. It’s healthier and leads to less stinky dog farts. 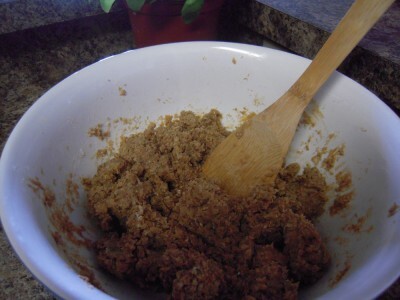 Mix the eggs, flour, grain, peanut butter in a bowl. 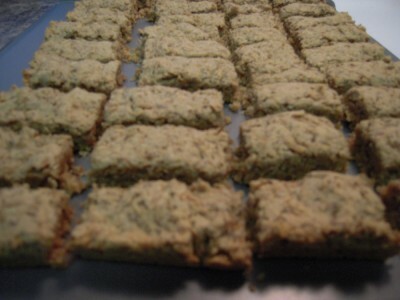 Spread the mixture on a 12 ¾ x 9 x 2 pan, and press it until it was about an inch thick. In the oven, bake them at 350 degrees for 30 minutes. After that, break the treats apart. 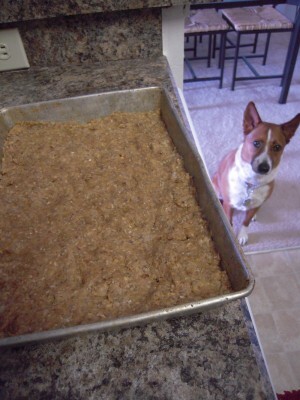 Cut the mixture with a knife, shaping rectangle treats. Reduce the heat to 225 degrees and bake them on a cook sheet for four and a half hours. Hers were a little thicker, so they took longer. If you make them a little thinner, they could be done in about three hours. 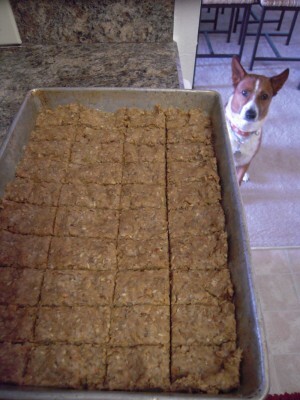 Make sure the you bake them until the treats are completely dried out. The author of the original article warns that if they aren’t totally dry, they can become getting moldy. Let the treats cool down, then spoil your dog and your closest friends dogs! The treats are dog approved, Roxy, Hagan, Lucy, Zoey and Lucy (yes, two Lucy’s) all gave two paws up to these treats!